Cyrus Hall McCormick was originally from the Blue Rridge mountains of Virginia, but he patented his horse-drawn reaper in 1834 and started McCormick Harvesting Machine Company with his brother in Chicago around 1847. There is evidence that much of his patent work was built upon that of preceding inventers, including his father (Also called Cyrus) and a family slave, Jo Anderson! McCormick was more talented in the business arena and his company did well thanks to some clever business ideas like, using the railways to deliver to a wider market and having a large network of trained staff able to demonstrate the machines out in the fields. In 1902, McCormick' merged with the Deering Harvester Company and three smaller agricultural firms to create the International Harvester Company. 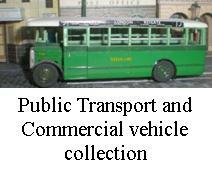 The company grew and diversified to include commercial vehicles as well agricultural machines. International Auto Wagon was "designed for use in cities, country towns and rural purposes", where "a light commercial car is desired". Allowing "quick deliveries, ...thus enabling....better service and to serve more customers...... it will do as much work as two rigs, thus saving the cost of one driver as well as the expense connected with care of extra horses". "The lightness of the International auto wagon and its facilities for short turning make this car most acceptable for use in narrow streets and alleys....." and "there is no reason why it cannot be used as a pleasure vehicle when occasion demands. It has the same easy riding quality as the auto buggy". The 'highwheeler', as it became know, offered a more than reasonable ride quality due to the large wheels passing easily over rutted, unmade, roads of the time, and It hauled a good load too, just as advertised. Rod built this model in the 1980s so it is all brush painted with Humbrol enamels. The 'logs' came from the back garden, carefully chosen, and cut, to provide a realistic looking load. The Highway pioneer kits were originally produce in Califonia by 'Precision Specialities'. They were so successful that after WW2 the kits were put back on sale under the companies new brand name, Revell. Revell also sold the rights to these kits so around the world they are found boxed by other companies. The kits were not very detailed by todays standards but when we look back and consider that plastic itself was still a very product in it's own right and everybody lnew quality Hobby kits were made of wood, not plastic! But plastic kits could be produced in huge quantities and proved to be cheap, it didn't take long for plastic to rival wooden kits. Revell went on to become one of the worlds most famous plastic model kit companies.